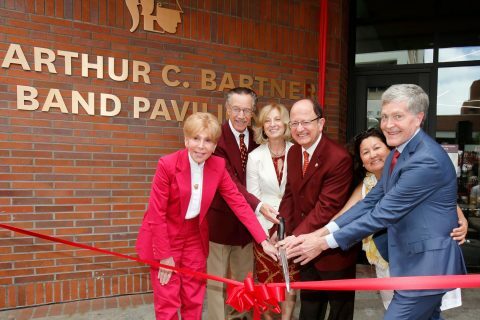 All it took was the first couple of notes of the school’s fight song. 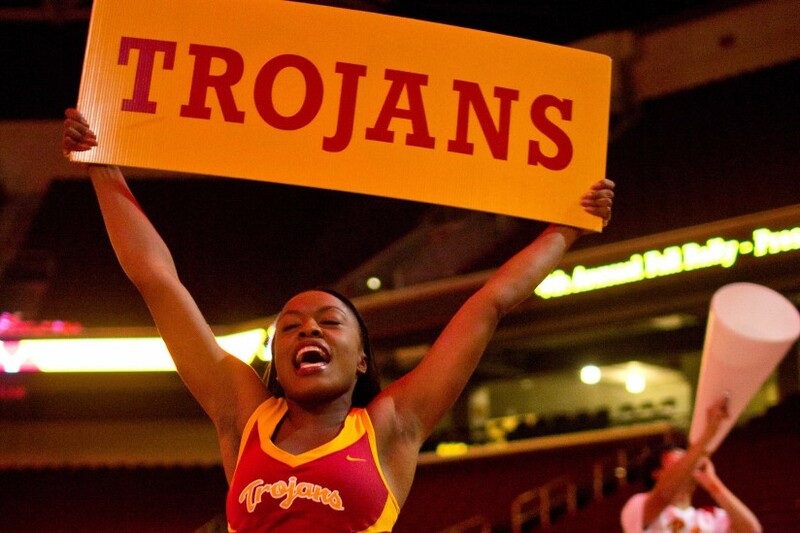 Then all of the students at the Galen Center were on their feet, clapping and hollering, as the USC Song Girls waved their pompoms and the USC Trojan Marching Band sounded its horns. No, this wasn’t the first football game. 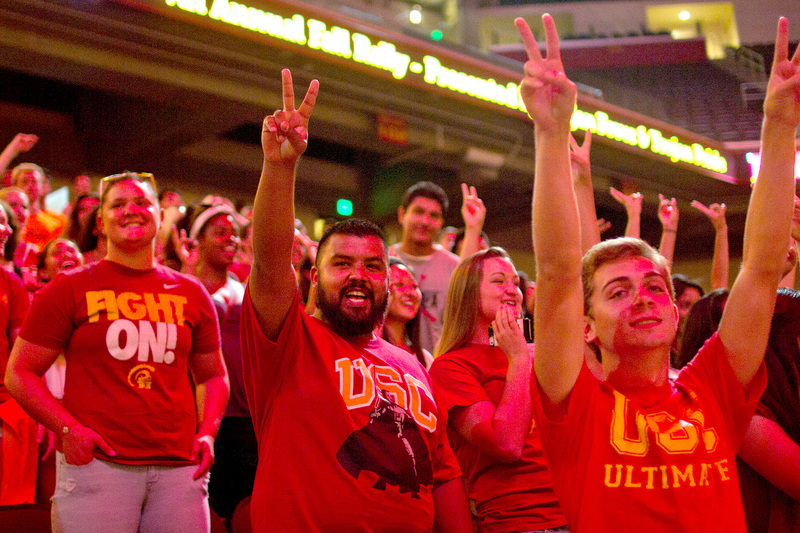 It was the fourth annual Fall Sports Pep Rally, presented by Trojan Pride and USC Athletics. On a Thursday night, students flocked to the arena for giveaways, performances and a look at the school’s athletic tradition. 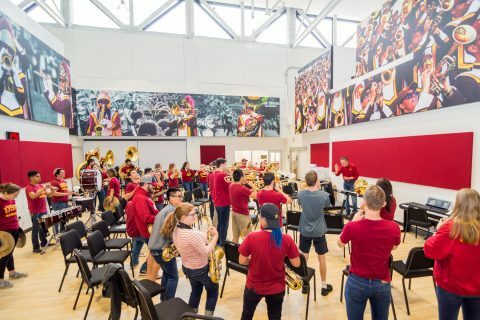 The band, along with the Trojan Dance Force, the Song Girls and the Spirit Leaders, led the crowd in some of USC’s popular cheers. With arms tangled together, the entire student section swayed side to side in unison. Already, it was beginning to feel like family, particularly for the freshmen in attendance. The crowd responds to performances by the Song Girls and Trojan Dance Force. That spirit of unity continued throughout the night, as the event’s DJ introduced every athletic team and their long list of achievements. Athletes came running out, threw T-shirts into the crowd and showed off some of their best dance moves. At one point, the DJ even brought together the athletes, the student section and the band for a dance-off. 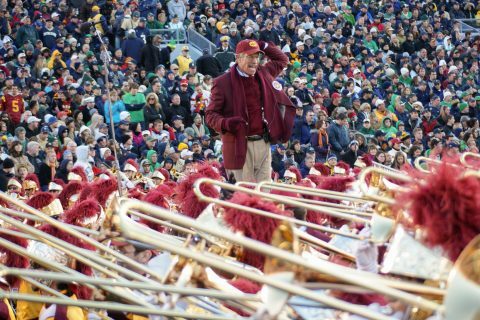 The night was also about celebrating the Trojan sports fans. Freshman James McDaniels is a self-described “huge sports fan,” and when he got picked to show off his dance moves for a chance to win field passes at a USC football game, he went all out. Every student left with free water bottles, posters and a new sense of pride in their school and the athletic teams, from women’s lacrosse to men’s water polo.